Gabby Giffords took to Twitter in the wake of the Parkland, Florida, school shooting to push “peace and safety” through gun control. The accounts from today's school shooting in Parkland, Florida strike fear into all Americans. Is it safe to send our kids to school? Are we safe in our homes and communities? Even in our grief, we must summon the courage to fight against this fear. We must find the courage to imagine a country where these massacres do not occur. Our leaders must find the courage to escape the confines of their politics & pursue the moral necessity of peace & safety. She missed the fact that we have law upon law covering firearm sales, laws against murder, laws against guns at school, and additional rules, regulations, and laws that vary state by state or school district by school district. The weapons ban covers other actual and would-be weapons as well, but the point is clear — there are already myriad laws and regulations on the books, and criminals do not read them or follow them. And they would not read or follow a new weapons law, were it to be passed. 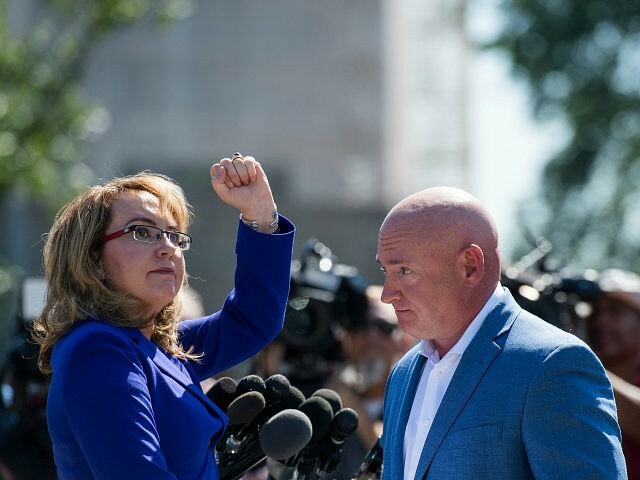 On January 8, 2011, Gabby Giffords was viciously attacked by a man armed with a handgun he acquired via a background check. Since that time, she has been dedicated to pushing for a new law requiring that every would-be gun owner pass a background check.